Catch up with all the latest goings-on of the best Willes (with an "e") family that has ever lived in Arizona. Okay...we're the only ones. Still the best. 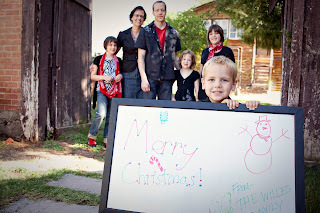 The Willes Family has had a very eventful year in 2010. It would take much more blog space than I'm allowed to use to completely chronicle everything that has happened. I have tried to condense it so that it will only take you about 45 minutes to read. Just kidding. As part of their Christmas present in 2009, we signed up Katie, Emma and Claire for a circus school. A travelling circus, Zoppe Italian Circus, visits Chandler Center For the Arts each year and this year they offered a circus class. It ran the week of New Year's for all day. On the final day we bought tickets to the circus and the girls were part of the opening acts. They juggled scarves, spun the chinese yoyo and created their Willes Sisters Pyramid. They had a great time and the circus was delightful. Katie turned the big 1-2 this year and we through her a big ol' party. She invited the entire sixth grade at her elementary school and some extra friends. She had about 40 kids plus parents show up. We served pizza and had a candy bar plus cake, decorated by her Grandma Willes. Katie had kids donate used blankets for animal shelters instead of buying gifts. We ended the evening with a dance under a canopy of Christmas lights. I think it was a success. Katie agrees. Some of the crazy kids at the birthday party. During the weekends of a very warm February the neighborhood kids set up a stand in front of our house. They sold donuts, milk, soda, cookies, whatever they could get. They made enough money each week to buy stock for the next week. After three booming weeks of business they had a profit of $42. Not bad. We took a very warm trip to the zoo during spring break. We also visited a local candy company. They all got to make and decorate candy. Unfortunately, you had to be 12 and under to participate. I had to buy my own candy. Dang it. I took my vacation this year to see my sister Sarah, who teaches high school in Las Vegas, Nevada. We visited the pawn store that's featured in the TLC show "Pawn Stars." We saw Chum and Corey. We also saw "Viva Elvis" a Cirque de Soliel show at a new casino there. We had fun on the strip but I had to come home and bathe after the experience. In late March Chandler had its Ostrich Festival. We watched Ostrich races, rode some rides and met the guy who plays Justin on Wizards of Waverly Place. The girls liked that last thing the best. I entered a parent's dance contest at the Disney Tent and won a dvd for the kids. Yes, I am that kind of mom. As part of a stake service project our family was able to go with other primary kids to the Mesa Temple early one Saturday morning and clean the grounds. They had us dig weeds from trees, wipe down signs, sweep and clean the handrails. It was a super cool thing. At Shumway Elementary, a student is selected to win a bike based on grades and behavior. Claire won. She got a bike and got to be on the school's televised announcements. During Katie's last year at grade school her "Battle of the Books" team won so they advanced to district. They didn't place but had a great time. She was also chosen to present her essay at the D.A.R.E. graduation and participated in the school plan, Peter Pan, and the school chorus. This year we found an awesome professional photographer who gave us a great price on photos for the entire Zachreson clan. We spent a whole morning feeling like supermodels. 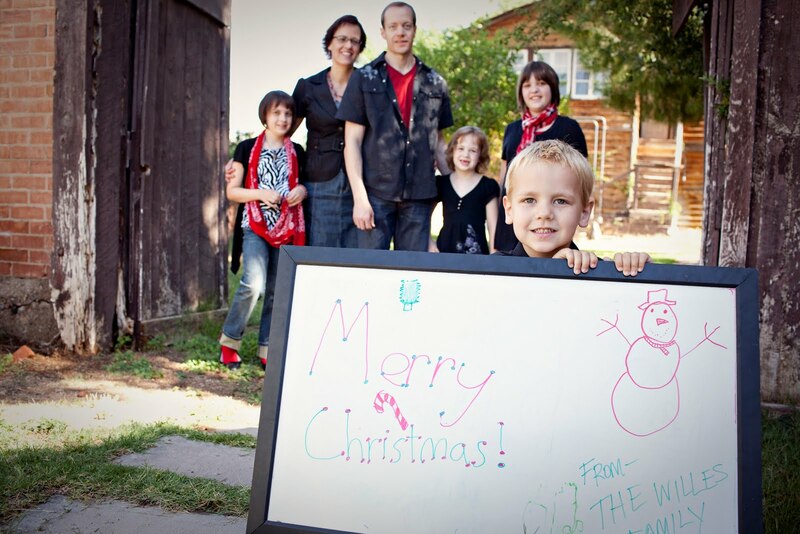 The photos on our Christmas card came from that session. To check out more of his work go to www.benchristensenphoto.com. Zach made the website but I don't know if he's still up. I'll add another post with some of the photos. 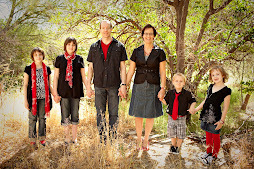 We traveled to Kingman, AZ, in June for my brother Ken's daughter, Bryn's, baptism. We hiked up Hualapai Mountain the first day. It's about 5000 feet up at the top and you can see the desert floor below you for miles. Pretty cool. We stayed at a Springhill Suites by Marriott thanks to a coupon from my old friend, Gwen, and it soon became our favorite hotel. So stylish. And such yummy food. In July we took a mammoth road trip up to the Rogers Family Reunion in Preston, ID. We planned numerous stops along the way. We visited Rachel's college roommate, Jackie Webster and her family in Rexburg, we went to Yellowstone National Park and saw Old Faithful, we toured BYU, we met up with Great Gramma Willes in Thayne, WY, where we rode horses and hiked to waterfalls and we looked through antique stores in Afton, WY. What we didn't plan was that Clifford, our big red van, would break down in Page, AZ, stranding us there for the first night of our trip. We luckily found a rental van and headed out the next day. Stopping in SLC we looked at cars and found a van. The rest of the trip via cellphone and email we arranged to purchase the van, install a hitch and rent a vehicle trailer. We left the reunion a day early, bought the van in Bountiful, drove both vans to Page where we returned the rental and loaded Clifford onto the trailer. We towed Clifford home behind us because no Van gets left behind in this family! It was a fun trip that I never ever want to take again. I need to go curl up in a ball somewhere and sing happy songs just from reliving it all. Rogers Family Reunion, Preston, Idaho. Hi Grammy Willes in the background! Afton, Wyoming. Claire just wants ice cream. Taking a cooling break in the stream by Intermittent Spring near Afton. Zach, getting in touch with his inner cowboy in Thayne, WY. Troy riding the range in Thayne, WY. When I die I want to go to Thayne. GORGEOUS! Katie and Zach in the barn at the horse ranch. After our session with the professional photographer I became interested in seeing what I could do. I have some pretty good shots which I'll be selling online for millions of dollars someday. Mark my words. Of course, most of them feature my family, but whatever. I nearly had a panic attack as I watched a man hoist my 4-year-old onto a huge horse and swat the horse's hiney, sending said horse out into the corral. Zach, however, did great. The kids had to feed and groom their horse before they could ride him. The horse's name was Scotty and he was was a gentle giant. Waiting for Old Faithful to blow. Just so you know, there is no set schedule or time as to when Old Faithful erupts. I heard this explained over and over by the poor ranger who was manning the area we were in. I wanted to make him a sign. Who knew Cosmo the Cougar could show you the stairway to heaven right there at the BYU bookstore? And this is how we ended our lovely two week vacation; pulling our wounded van home with our new 11-passenger Ford F-350 Econoline, baby. Yes, it's huge. Clifford would need a whole new engine so we sold him on Craig's List as is for $300. We actually had a lot of calls on the ad for a dead Astro Van. One guy called and said, "I have the engine, just not the van." Okay. We're sure Clifford is currently running packages across the Mexican border right now. Oh well. He'll finally get some excitement and not be just another family minivan. GO CLIFFORD! Oh, by the way, our new van is named Bruce, after the great white shark in Finding Nemo. We welcome Bruce to the family. We saw some funky weather in August when we had hailstorms for a few days in a row. Everything was pelted by huge hail stones. Every news channel filled about 20 minutes of its 30 minute broadcast with stories of the storms. Hey, any kind of weather is a big deal here in Arizona, especially if it's hail! During fall break the girls, cousin Haylee, and neighbor Sierra created a band called The Retro Gurlz and wrote a song. I put guitar to it and we recorded it. Of course, then we had to film a video. Check it out at www.youtube.com/watch?v=1xESvx1DbG8 . They are working on a second song as you read this. It'll hit the internet soon! Katie made it into the Advanced Chorus at Willis Junior High. She has a proper chorus dress and gets to perform at the Chandler Center for the Arts. She really likes it. During Fall break we took a day trip to Globe-Miami area for yummy Mexican food. We then drove to Kenneworth Mine, a HUGE hole in the ground. It was pretty amazing. All the mountains around it are from the tailings of the digging. This pictures doesn't do it justice. For our road trip to Idaho I bought the first season of "CHiPs" on DVD. The kids loved it! Zach, especially, grew to love those motorcycle cops and insited on being Ponch for Halloween. He didn't want to be Jon, although he looks more like him. I made the costume for him. Surprisingly, you can't buy a CHiPs costume anymore. Hmmmm. He made us spray paint his hair black for the role. The kids had many opportunities to trick or treat this year. One of them was at Intel where they set it up cubicle to cubicle. They get A LOT of candy in a very short amount of time. Katie went as a Punk Rock Fairy. Zach was Ponch and Emma and Claire were Thunder and Lightning. Emma sprayed people with the water bottle after telling them what she was. The costumes were Emma's idea. I just made them. Seriously. Troy and I finally broke down and bought a trampoline over fall break as an early Christmas present for the kids. They have had nonstop fun on it ever since. One day the cool air was particularly dry and the kids had fun with static electricity experiments. Who said trampolines couldn't be educational!? We had concerts and plays and parties to attend all December and now wait for the fun of Christmas. We hope you are all well and doing wonderfully in your part of the world. We are grateful for our friendship with you. Thanks for taking the time to read about our past year. Hello, everyone. My name is Rachel Willes and I am the matriarch of the Willes Family: Troy, Rachel, Katie, Emma, Claire and Zach. Troy and I were married in January 1997. Troy works at Intel as a technical marketing engineer manager and I am a full-time mom, part-time bookkeeper, and part-time babysitter. We are members of the Church of Jesus Christ of Latter-Day Saints and attend the Ray 1st ward in the Chandler Arizona Stake. Check out Rachel's own blogspot by selecting it from the "View My Complete Profile" menu. Past Blogs: What'd I miss?! What'd I miss? !